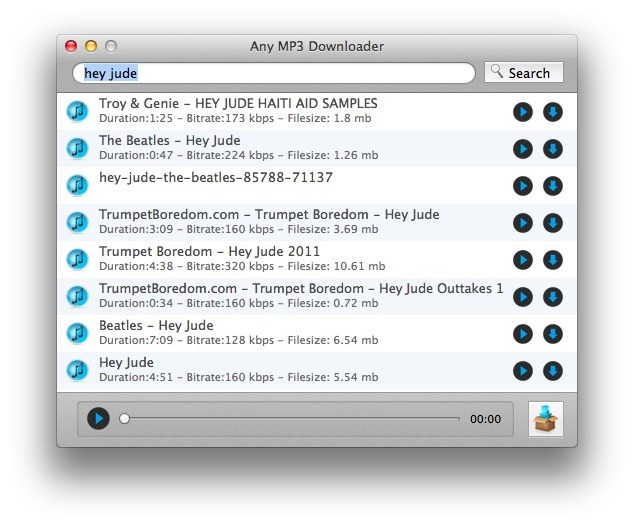 Is there a better alternative to Any MP3 Downloader? Is Any MP3 Downloader really the best app in MP3 category? Will Any MP3 Downloader work good on macOS 10.13.4? Any MP3 Downloader provides you an efficient and legitimate way to search and download music from multiple sources. The program features a user-friendly and attractive interface: you simply input the artist or song name, hit the search button, and view results that are immediately displayed, after which you can download desired songs with just one click. Any MP3 Downloader lets you listen to the music before downloading, and high quality is provided. Any MP3 Downloader needs a rating. Be the first to rate this app and get the discussion started!